We surveyed top wedding planners and vendors across the country to get the inside scoop on how they're modernizing the most popular wedding trends to date. Get their expert advice on how to breathe new life into tried-and-true favorites and make them your own! "A common statement that I hear during my initial consultation with brides is ‘I don’t want a mason jar wedding,’ which is music to any designer’s ears. Their 15 minutes of fame are officially up and I say it is high time to introduce something else," says Heather Thomas of HeatherLily. This irresistible fabric combination has been used on everything from Mason jars to bouquet handles to cakes. "The problem we have with this particular trend is that all of these weddings start to look alike. As a result, we aren’t seeing the personalization or uniqueness of the couple shine through," explains Stephanie F. Carmody of Très Chic Events. Fortunately, there are many other ways to incorporate this shabby-chic décor style. Elevate the look by utilizing dyed muslin linens, which has that same great texture without the weird smell or messy shedding associated with burlap. eBay is a great resource for picking up discontinued bolts of fabric in every imaginable color and style. For a gorgeous variation, Tiffany Siladke of A Splendid Occasion recommends replacing burlap and lace with a more feminine fabric, such as chiffon or silk. There are certain wedding reception elements that we see over and over again, and the classic photo booth is definitely one of them. Sara Traikoff from The Addison tells us that while the idea behind the fad is sound — providing an activity for loved ones while also capturing candid memories — "there are loads of fun new ways to surprise guests without forfeiting the fun." For starters, Merilee Hennings of Ever After Events customizes her clients’ photo booths by adding cool backdrops, specialty furniture and props that fit the theme of their wedding. One of our favorite alternatives is a video booth. "Instead of still shots, guests are captured on video where so much more can be accomplished — like an explosion of confetti or a fun stunt!" explains Whitney Wing of Wish Wonder Dream Weddings & Events. Other high-tech options include having a "media wall" where photographers can shoot guests’ arrivals or having a digital caricaturist. A few years ago, newlyweds began trending away from large wedding cakes as their sole dessert option. 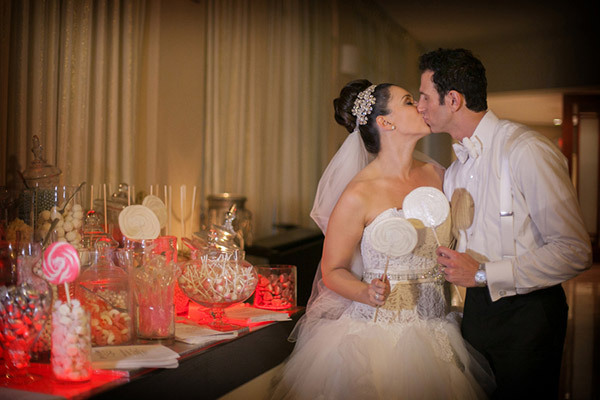 In an effort to satisfy their guests’ sweet tooth, candy displays hit the scene. Not only were they hugely popular but they also provided distinct benefits. For example, they offered guests a new area to check out while taking a break from the dance floor, they served as an aesthetic detail by incorporating the wedding colors and guests could also take them home as favors. Over time, the novelty factor wore off. "Everyone loves candy but the candy table concept has taken its last bow," says Robin Naluai at the Hilton Carlsbad Oceanfront Resort & Spa. Rrivre Davies of Rrivre Works suggests that couples personalize their late-night snacks to make the experience more unique for their guests. One creative option is to have his-and-hers treats tables. "Maybe the groom is a sucker for a good PB&J with no crusts and a cold milk while the bride has always loved caramel apples," Naluai explains. Siladke recommends including your favorite childhood treats while Hennings loves quirky details like state-shaped cookies (to represent the couple’s hometown). Setting up interactive stations like a waffle bar, s’mores station and chocolate truffle-wine pairings is another great way to entertain your guests. 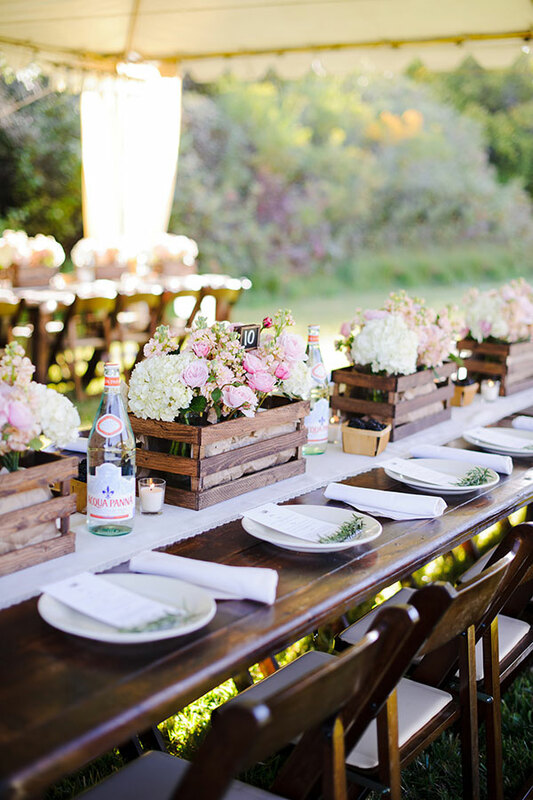 According to Majell del Castillo of Majell del Castillo Events, a great alternative is to incorporate bold stripe and trellis since you can never go wrong with clean lines. Preeti Moberg of Blue Mango Weddings tells us that geometric styles are making a splash: "It’s never been sexier to say that you want a photo booth backdrop with dodecahedrons painted with glitter. 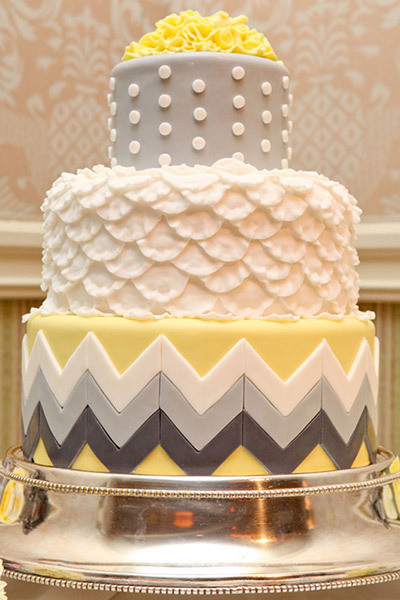 Or, use a random assortment of rectangles, triangles, and parallelograms in gum paste on your cake." You can also try rope prints (ideal for a nautical theme), watercolor florals (whimsical and romantic) and ikats in tribal, ethnic and geometric patterns (if you love all things boho). "In my opinion, Mandarin Blue China patterns will be the next hottest trend," says Leslie Price of In Any Event. The most sought-after wedding themes couldn’t be more diametrically opposed: farms and The Great Gatsby. Edith Levandoski of Edith Elle Photography tells us that although East coast-style glitz and glamour are starting to take hold on the West Coast, "brides in SoCal are holding on to their barn weddings for dear life!" No matter which theme you’re considering, Tracie Domino of Tracie Domino Events advises examining your true motivation for having it. "If the answer is ‘because it looks nice on Pinterest’ yet you’ve never stepped foot on a farm or you don’t have a personal connection to the Art Deco era, then you should immediately change course. 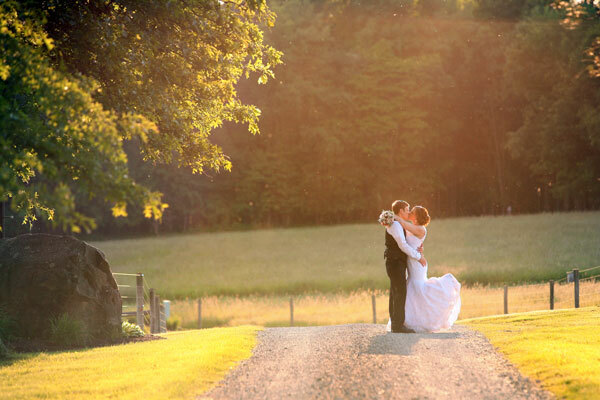 Select a venue that does a better job of representing who you are as a couple and what you like to do," she explains. If you’re drawn to the idea of a barn because you can’t picture yourself tying the knot in a hotel ballroom, consider other non-traditional venues as well, such as museums, historical properties or large estates. "Just make sure it is a space that caters to hosting a large event so that quality and guest experience don’t suffer the consequences," Samuels cautions. 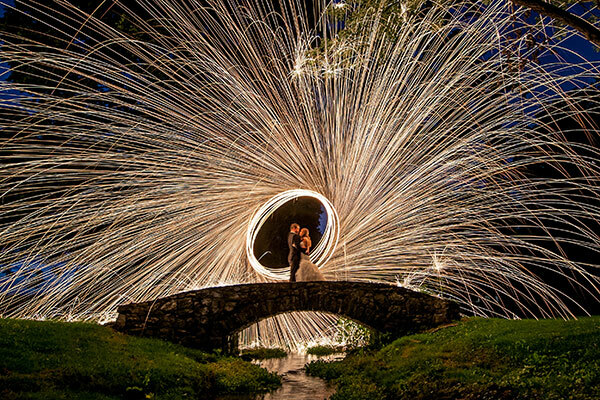 Creative themed engagement and wedding photos have exploded in popularity the past few years and although we love Harry Potter, football and dinosaurs just as much as the next bride, what’s cool today can sometimes feel cheesy or gimmicky a few years later. "Just like your invitations, flowers, menu and music choices should be a true reflection of you as a couple, so should your engagement and wedding photos," advise Korenberg and Pablo. It’s great to get creative but only if it’s in line with your personality and demeanor. If wearing costumes or doing poses that don’t feel natural or genuine, they recommend nixing it. Not every photo needs a prop or a theme — sometimes the most beautiful shots are the ones that are the most simple. Muted hues will always be pretty and bridal-appropriate but vendors are pointing their brides towards more vibrant, bold and creative color schemes. 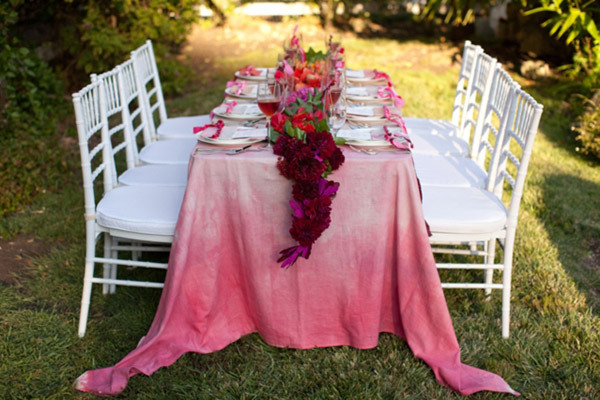 “For summer and spring weddings, think fun color palettes like raspberry, tangerine and aqua. For fall and winter weddings, I like cranberry, navy and metallics such as copper, gold or rose gold,” says Jessica Tincopa of Jessica Elizabeth Photography. Photo Credit: White Lilac Inc.
Having trouble honing in on colors you like? 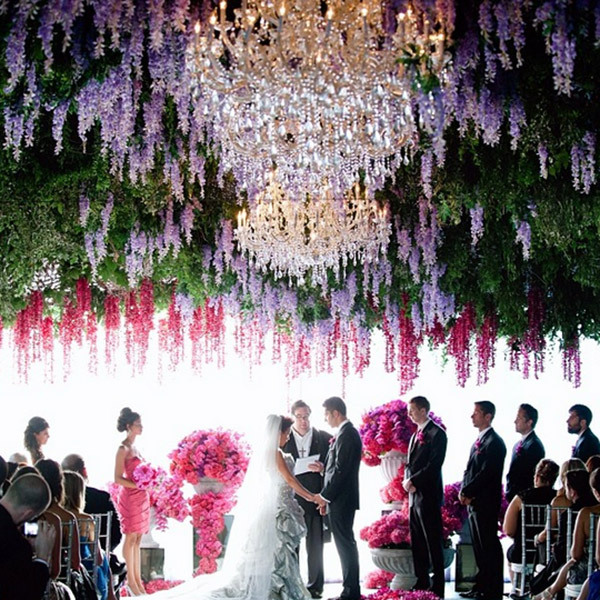 Look to inspiration outside of the weddings world in architecture, paintings or nature. For example, if you’ve always been a fan of purple, incorporate a pop of color into your décor, bridesmaid dresses or cake. "Just a little something goes a long way — if it’s always been your favorite, you won’t regret it!" she says. 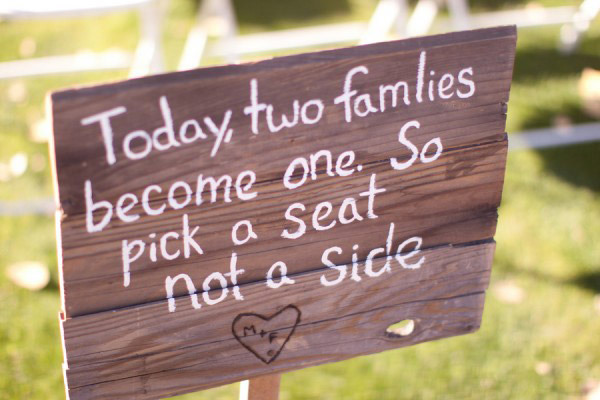 How many weddings have you been to that had the "pick a seat, not a side" sign hovering over the center aisle? "Cute? Yes, but so overplayed," says Erica Schnell of Crushed Ice Events. She suggests spending the creativity and money on signage that will get the most exposure — think of unique ways to display your bar menu or out-of-the-ordinary seating charts. For a fun chalkboard effect, you can use special chalkboard paint to create a writeable surface.